To call this a mere chronograph would be a huge understatement. To call this a mere chronograph would be a huge understatement. The Patravi ChronoGrade combines six functions that have never before been brought together in this way in a mechanical watch. 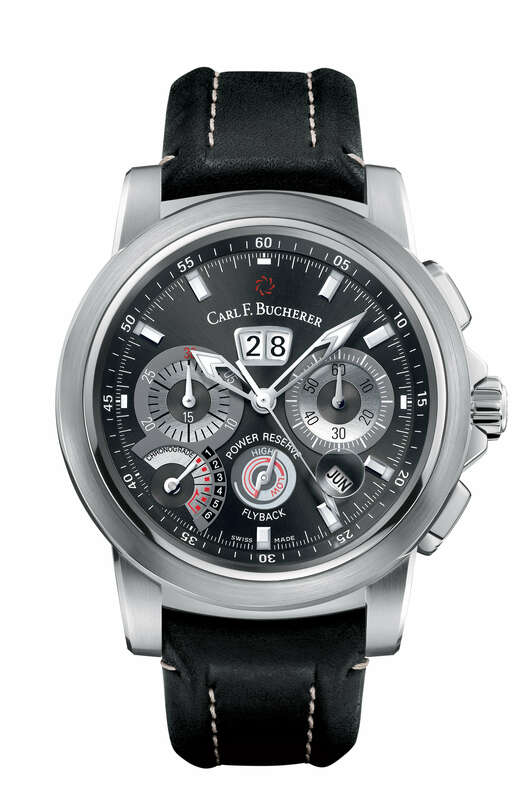 Firstly, with the power reserve indication, the chronograph provides a check on its own power supply from the barrel. With its big date in the double window and the monthly calendar which allows for different month lengths, it reliably guarantees synchronization of the days. With the retrograde hour counter, long periods of time within a six-hour cycle can be measured. For shorter intervals, on the other hand, there is the flyback function. The pusher only needs to be pressed once for the hand to jump back to zero and automatically restart.